Photocase is a highly-curated stock photo website that provides the creative community with higher quality and contemporary images. This is probably the main reason why you should try it. Many users require various types of images. Sadly, not all stock photo agencies are able to meet their needs. If you are one of those people who need authentic images with a modern feel, then you will surely love Photocase. It caters to a more unique market. As mentioned earlier, this website has a unique library of images. It features natural, aesthetic, contemporary and creative images to meet the specific needs of its customers. The website does not settle for ordinary pictures. It encourages contributors from around the world to provide photos with character. After all, Photocase believes that quality is superior to quantity. You may wonder what these are. Actually, lightboxes are collections of photos created by users. They can be made public or private, depending on your preference. You can download several photos to it at one time. You can create two or more lightboxes and copy or move photos between them. You can use them to categorize your photos. You can also publish them and share your collection with others. You can also ask others to show you their lightboxes by sending an invite. It has an “Explore” collection. Photocase gives you an opportunity to explore library of interesting photos to be inspired. This collection includes the most popular photos on the website based on a highly complicated “awesomeness algorithm”. In short, the photos are rated based on their level of interestingness, which is calculated through likes, clicks and comments. The Explore collection can be browsed by day, month, or interesting user. It has an “I like it” button. Just like Facebook, Photocase allows you to like a photo. The website counts you as someone who likes a particular image. If you click the “x people like this” link, you will see other users who liked the photo – again, just like Facebook. The difference is clicking the link will also show you the photos that other likers liked. This allows you to see other photos that you might like but have not seen. There are many other reasons why you should use Photocase such as a user-friendly interface, affordable and flexible pricing, and a great search experience. But, these four are exclusive to the website. Another great reason is Photocase coupon codes. Yes! You can get as much as 25% discount on your next purchase once you register to the website. You will also get additional 3 credits, added automatically to your account. What are you waiting for? Register to Photocase and get this amazing promo now! As the years go by, the line between mobile and desktop has become fuzzier. Smartphones and tablets have also become powerful tools to create the best creative projects. Artists and designers have now more freedom to choose which tools suit their creative needs. Adobe, still being the number one photo-editing tool, increases the bar for stock content with its very own stock photo service – Adobe Stock. How does Adobe pull these two distinct worlds together? You may wonder how the mobile and desktop world can work together. Anyone who has used Kindle on one device and picked up right where they left off with Amazon’s Whispersync surely has an idea of its importance. Adobe created its own version with CreativeSync. Creativesync allows users to create a design or illustration on mobile and continue it on desktop, and vice versa. CreativeSync covers all files, fonts, settings, design assets and other content. Creative Cloud has been working on this for several years now and the introduction of Adobe Stock provided a way for designers to access commonly used elements from major desktop applications, such as Photoshop, Illustrator, and InDesign among many others. This feature has expanded to a number of mobile solutions. The features mentioned above are available to paying Creative Cloud members, but one product requires a separate purchase – Adobe Stock. In spite being integrated with the CC line up, Adobe Stock is an all new product that offers royalty-free content for an affordable rate. Adobe acquired Fotolia, which powers Adobe Stock (read the reviews here). Adobe Stock photos can be accessed directly from the CC library. Creative Cloud applications allow you to drag and drop files to get a sense of how they will look like before purchasing the full version. However, the best feature of the stock photo service comes with unused credits being rolled over indefinitely. This means that you will always get what you pay for. No expiration dates. Adobe Stock is now available in Creative Cloud applications and as a standalone website. Creative Cloud members enjoy a few benefits, which include a discount of up to 40%. Non-CC members can also enjoy the stock photo service for a slightly higher cost. The best part is you do not need to purchase the images yet to see what it will look with your project. You can just easily license the image if you are sure. Adobe has clearly made something beautiful and convenient with Adobe Stock. Its integration with the Creative Cloud applications is a genius move, which provides CC members with the opportunity to save time and money. Gone are the days when you need to download images to your computer and open them with your CC software. For a lot of business owners, it can seem like there are a billion different factors that influence every decision, and your decision of which stock photo vendor to go with is no different. And for a lot of business owners as well, it can seem like only size matters. Managers and business leaders want the biggest stock photo libraries they can find, with the assumption that a huge variety of images will lead to the best stock photo library. In the breakdown that follows, we’ll share a few reason why this kind of thinking isn’t always the best way to approach your stock photo library, and make some arguments that size isn’t all that matters when you’re deciding which stock photo service to go with. But first, here are a few of the biggest stock photo vendors, with some notes on their truly massive stock photo library options and offerings. As an industry leader and pioneer, Shutterstock (click here for review) has long been known as a great place for businesses to find a large and varied stock photo library. With more than 50 million media offerings in their library, this stock photo agency definitely has a lot going for it as far as bulk goes. Images in the Shutterstock Library are categorized broadly as either photos, vectors, illustrations, editorials, or icons, with music and stock footage available as well. The largest photo section is additionally widely categorized, with offerings in themes as broad and varying as “animals/wildlife,” “patterns,” and “beauty/fashion.” Browse their stock photo library to see all of their other 20 categories, and to see how huge a 50 million image stock photo library truly is. With more than 30 million images, and tens of thousands added every day, Fotolia is one of the largest and fastest growing stock photo libraries out there. Their library is easily searchable, and results can later be filtered by category, with popular organizational labels like “people,” “animals,” and “food.” Furthermore, results can be narrowed down by things like color scheme, whether or not photos have people, and other more specific metrics used to find exactly the kind of photography that you need. While there are quite a few options to narrow down and refine what you are searching for, and results are displayed somewhat intuitively, it can be overwhelming to weed through a stock photo library this huge to find the things you need. A stock photo library of around 20 million images makes Depositphotos one of the largest vendors of stock imagery around. Images are categorized by a massive number of labels: 36 total categories as far ranging as “Jewelry and Gems,” “Fauna and Flora,” and the abstract “Concepts” help label the huge image database and make it more sortable for subscribers to the service. Images can be further sorted by metrics like popularity, image orientation, and more, all in the hopes of making Depositphoto’s huge stock photo library more accessible to users. Even so, such a huge number of options can be overkill for small or medium sized business owners looking for the perfect image for commercial uses. It can seem like the size of an agency’s stock photo library is the most important thing to consider when choosing which vendor to try out for your business, and the three services above prove that a big library can indeed be a good thing for business owners looking for the right vendor. But there are a lot of other things to consider as a smart business owner when choosing the right stock photo library to pick from, and finding the vendor that meets your needs perfectly. First, take some more time to seriously look into how each vendor categorizes and organizes the photos they offer. 50 million stock photos sounds great in practice, but can be a nuisance if it is hard or impossible to search through them all. Second, think about what you will need stock photos for, and how big of a library you really need. Some of the biggest vendors with the biggest stock photo libraries to pick from are also prohibitively expensive for small business owners, so be wary of choosing the right library that actually meets your needs and doesn’t give you things your business won’t benefit from. Finally, consider how often other people are using images in the stock photo library of the vendor you are thinking of trying out. A library with 50 million images isn’t necessarily the best choice for your business, if a service with 1 million images has 50 times less users. Think about how many people will have access to the photos you want to use, and remember that bigger agencies see more users. All of which is to say that size matters, but keep more in mind than just how big a stock photo library is when choosing the right service. Being a blogger isn’t just typing a wall of texts. It’s all about presentation and visual appeal that would make most readers stick around, read and enjoy the content. And what way could be more efficient than using high quality cheap stock photos and illustrations? You can literally just grab and save photos all throughout the internet but when you’re using them for commercial or even personal gain it would be wise to educate yourself about copyright laws and creative commons. To make a quick summary, you can’t just use photos from other sites while being lackadaisical about the rights of the image owners. It is the same as stealing. You either need permission to use them or buy them. Fortunately, there are a lot of sources to obtain cheap stock photos. There are hundreds or even thousands of stock photo agencies that contribute to millions and millions of stock photo content all throughout the infinite space of the internet. But you can’t just simply pick a random or just any website for your stock photo needs. You will need to make a little research and get a good “feel” of the website before deciding on investing on pay-as-you-go credits or subscription. Quantity – the more photos a site has in their library, the higher the chances you’ll be able to find the images you would want to use in the future. Search tool and filtering – since several sites have millions of stock photos to choose from, a stock photo site should be equipped with a competent search tool that capable of advanced search features and filtering in able to narrow down your specific keyword search results. Layout and User Interface – As the saying goes, first impressions last – and it couldn’t be truer than when looking at a website’s layout design. A good stock photo website should be user-friendly to both the regular and casual netizen. Think of it like a menu in restaurants. In order to help your customers decide which one to order, it should be organized well and look presentable. Image previews and teasers can help considerably and several websites utilize this to give both potential and current customers something to look forward to. Price – probably the most important factor. To most customers, the prices of stock photos will always be an automatic deciding factor. A lot of superb high-quality images do not come cheap but to those who have a lot of budget to spare this might not be an issue. Shuttershock – a popular site for stock photos and images as well as other content. Signing up for an account on Shutterstock will give you access to weekly free photos and other bonuses. Dreamstime – has a very flexible purchasing system. After an easy free signup, you will then have access to their free selected images section. 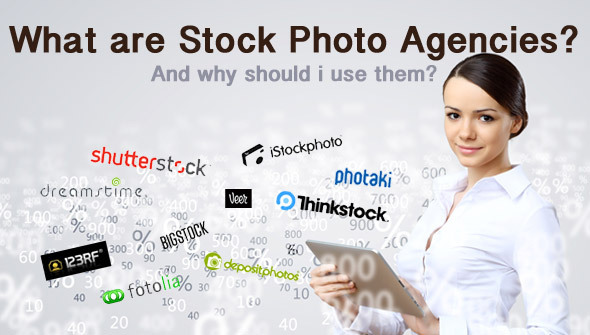 Fotolia – is among the famous stock agencies that has one of the cheapest royalty free stock photos. They offer cheap subscription fees and licenses that “don’t expire”. PressFoto – unlike most websites that uses credits for purchase, this site features the ability to purchase with real money without the need to convert your cash for credits. There are still a lot more other websites to check out that offer cheap stock photos. But make sure to check quality of content and your image preferences in their library before investing in a subscription or purchasing a pay-as-you-go credits.